As a society, we have swiftly progressed from the Electronic Age straight into the Information Age. The internet is touching all corners of the globes, connecting people in ways that were unimaginable. This itself has changed the way we game, and the way certain games are made. Take a look at the Modern warfare (snorefare) series as an example. A huge chunk of the consumers that purchase it do not even touch the single player campaign! 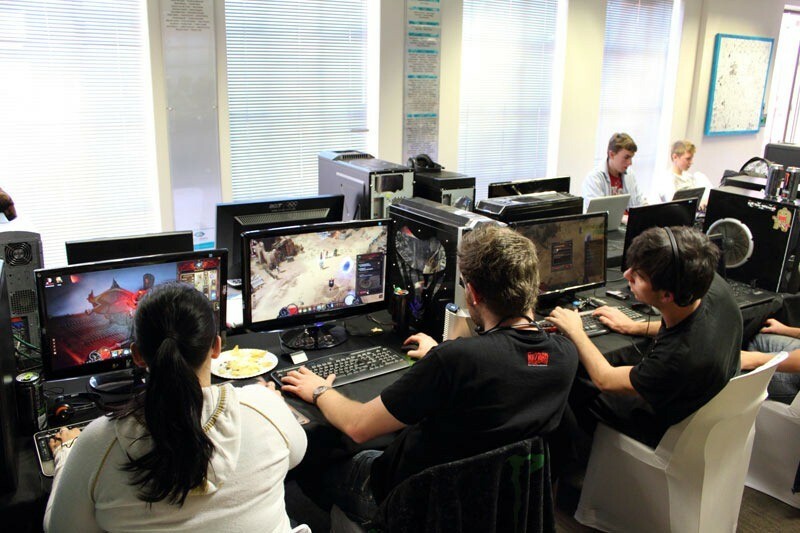 They delve straight into the frantic online fps multiplayer action. Once upon a time, LAN’s were the only way one could effectively engage in multiplayer. Rumour has it that such gatherings are becoming more and more rare, and I do not dispute this claim at all. However, much fun and raucous laughter is still to be had, away from your haven at home! 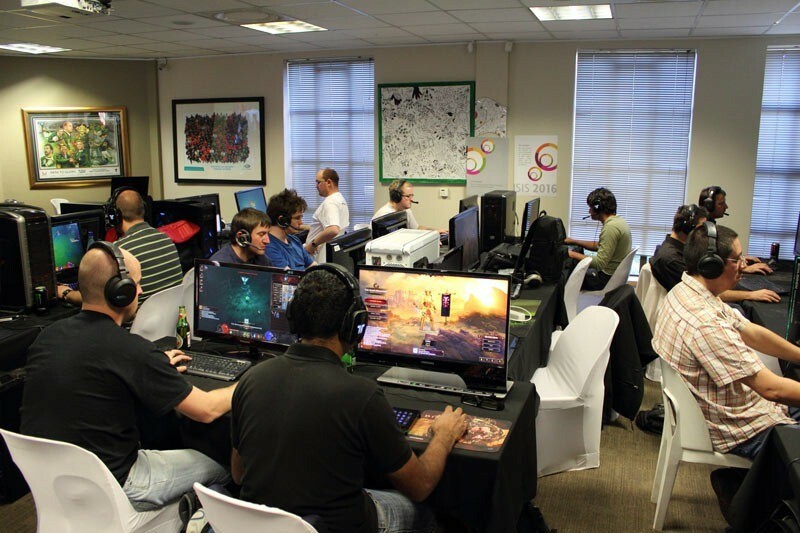 I was fortunate enough to be thrown an invite to a Diablo III gathering, hosted by Megarom at the Internet Solutions offices. It’s a bit ironic if you think about it. 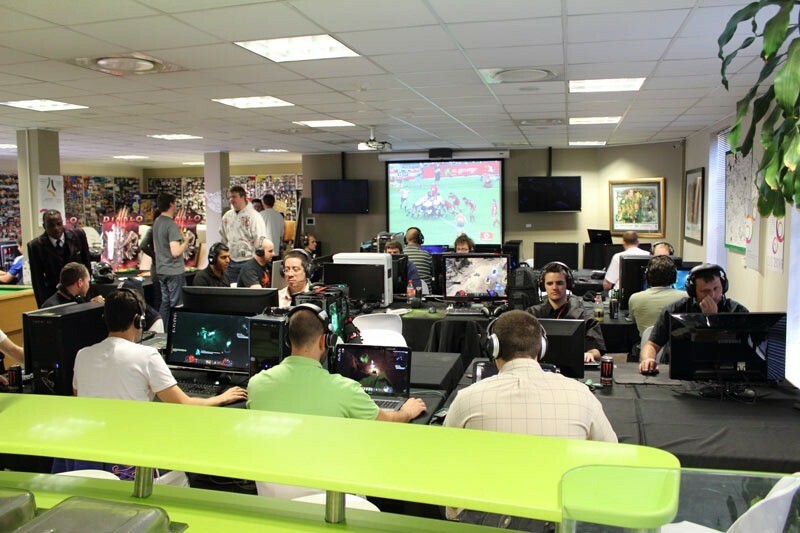 We would all be part of an Internet LAN; gamers in the same room questing together, while our games synced back and forth across the world. 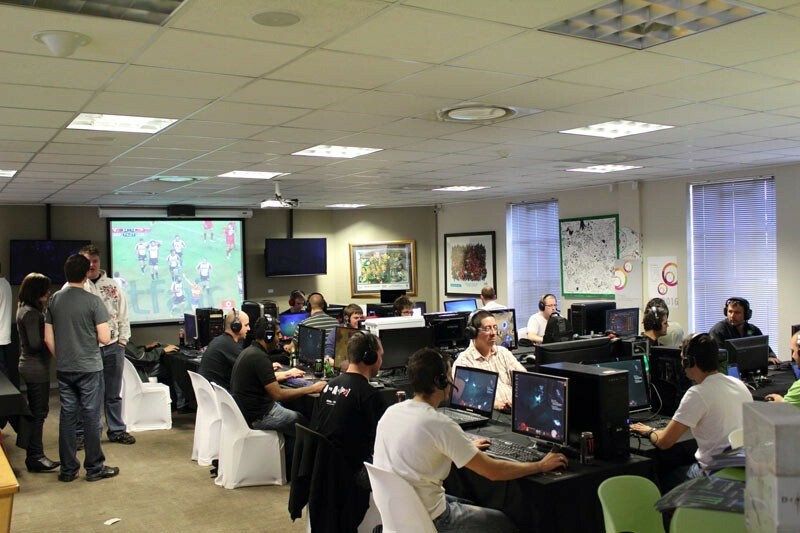 You know you’re at a typical South African LAN when you enter a designated room, and there is rugby on show on a huge screen. Take into consideration that an atmospheric Diablo III playlist was consistently being played in the background over the rugby commentary. I was almost surprised that none of the rugby players levelled up or stopped to loot once a try or conversion took place. Every gamer was well looked after! 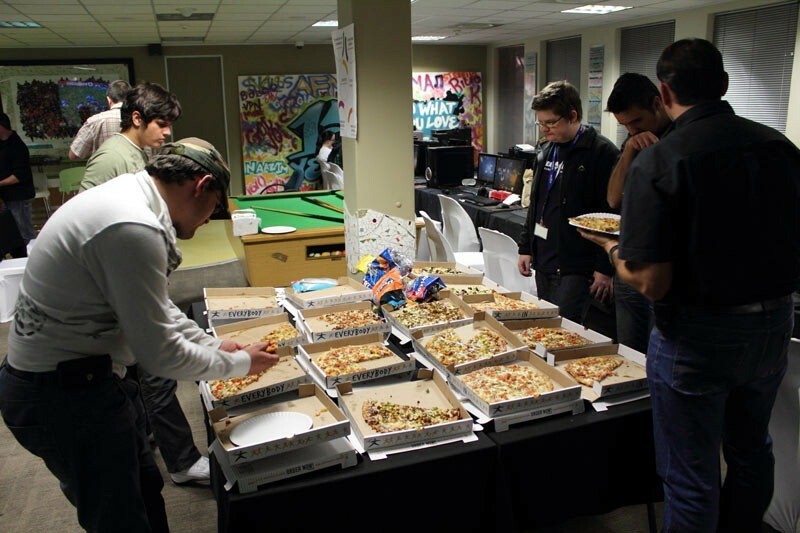 A catered lunch was provided, and pizza was supplied in the evening too. 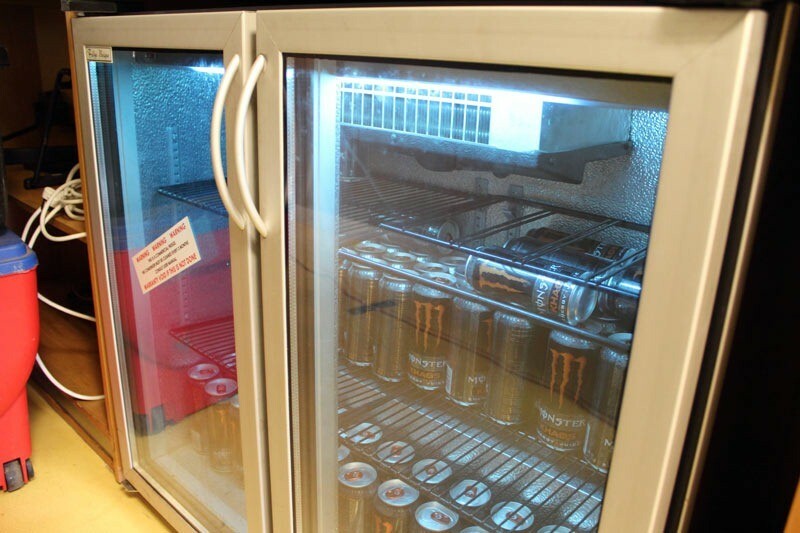 The energy levels were kept at frantic hand twitching levels thanks to a fridge filled to the Brim with Monster Energy Drinks. I am surprised that I didn’t keel over and start frothing at the mouth, but I suppose there were more pressing matters at hand; there were levels to be gained and better loot to be found! Being in the heart of one of South Africa’s biggest internet providers, lag issues were nonexistent. No Error 37s were experienced thankfully, and it was an absolute pleasure to add anybody around you and hop into a game with them. On top of all this, there were giveaways of Blizzard mouse pads throughout the day. What wasn’t to like about the event? Many may be cursing Blizzard for their “stupidity” with the forced connection to their servers (and rightfully so), but I must admit that it was something I really appreciated at the LAN. I enjoyed whittling away hours with various people around me, yet I was always connected to my other friends who were online at the time, sharing their experiences and exchanging loot with each other on an ongoing basis. This was beneficial, although I’m pretty sure people around me must have thought I was out of mind while I talked into thin air, when in actual fact I was just conversing with friends on a Teamspeak server. I would like to extend a huge thank you to Megarom and Internet Solution for making the entire day a fantastic affair! Lanning is definitely not dead, and I know many people who will continue to get exercise just from carrying their pc’s around (unless they own a laptop… those people have small muscles :P). So how is your Diablo III experience going? Found anything legendary yet? I only just recently finished my first playthrough, but my monsters were stingy with the good stuff!